Fostered with immense business know-how and understading of this business realm, we are readily engrossed towards offering a wide collection of Plastic Cartoon Lunch Boxes. Appreciated massively for its remarkable designs, flawless finish and reliability, these offered boxes are enormously acclaimed and treasured. We assure shipping these to our clienteles amid the assured time at highly reasonable rates. Established in the year 1985, Rejoice Plastic is a leading business name occupied the business of manufacturing and supplying a wide collection of Plastic containers. Developed in tandem with the guidelines and norms set by the industry, these presented containers are widely treasured and recommended. Some of the products presented by us include Plastic Lunch Boxes, Water Bottles, Plastic Pencil Box, Plastic Spoon, Pet Container With Steel Lid, Plastic Packaging Containers, Salt and Pepper, Pen Holder, Jars and Sports Water Bottles. Known for their utilization in different industrial and residential sectors including, these offered containers are enormously cherished and treasured owing to their dimensional accuracy, fine finish, reliability and leak proof designs. 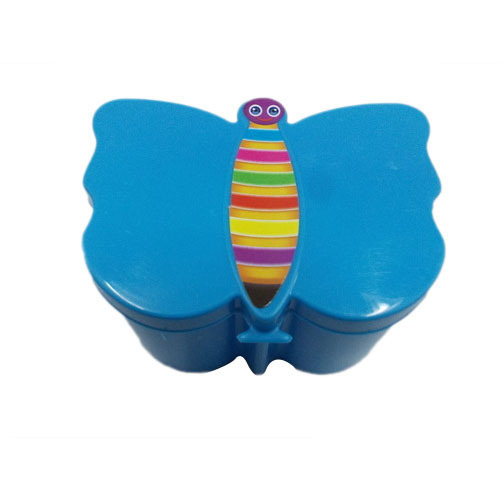 Under the above mentioned categorization, we offer Foodspot Kids Lunch Box, Helicopter Kids Plastic Lunch Box, Butterfly Kids Plastic Lunch Box, Sports Plastic Water Bottle, Rolex Pencil Box, Butterfly Pencil Box, Pet Container With Steel Lid, Plastic Packaging Containers, Jar and Sports Water Bottles to our customers in multiple provisions. Also, our capability to deal with altered provisions, bulk orders and reasonable rates of our patrons makes us enormously popular.